Celigo® is a bench-top, micro-well plate-based, bright field and fluorescent imaging system. 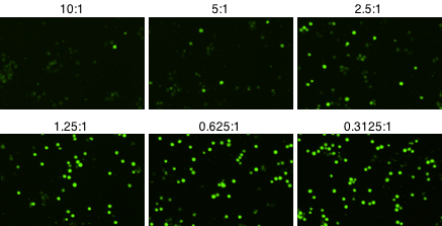 The best-in-class bright field imaging capability, in combination with 4 fluorescence channels, provides high speed, fully automated imaging and quantification of suspension and adherent cells in 6, 12, 24, 48, 96, 384, 1536-well plates. 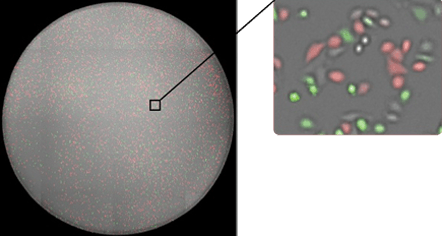 Using Celigo image cytometer has significant benefits over traditional epi-fluorescent and bright field microscopy. Visualize and capture whole well images for an entire plate, perform automated cell counting and population analysis on a per well basis and finally significantly increase throughput by imaging a whole 96-well plate in less than 5 minutes. By acquiring high resolution whole well images, we are able to image every cell in every well. Tumor target cells are stained with calcein AM. Whole-well image of GFP/RFP transfected HeLa cells from a 96-well plate. Proprietary optics and scanning system enable fast imaging of the entire well, while maintaining consistent illumination and contrast out to the well edge, for accurate identification of all cells within each well. 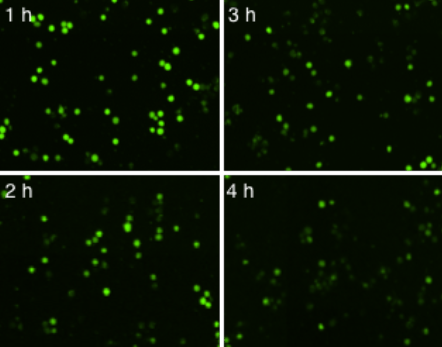 The Celigo can image both suspension and adherent cells in both bright field and fluorescent modes. K562 cells stained with calcein AM are killed by effector cells in an E:T ratio-dependent manner. 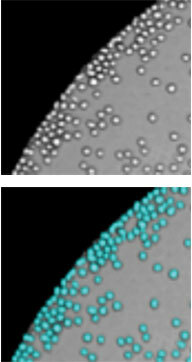 By imaging the sample plate over a period of 4 hours, we can observe the killing of calcein AM stained K562 cells by effector cells. The number of calcein AM positive target cells decreased as the incubation time increased with NK cells. The morphology of NK cells and target cells are visually different and it also showed that the NK cells cluster around the target cells to induce cytotoxicity. 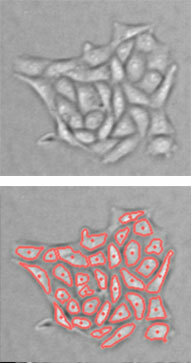 Imaged calcein AM stained target cells with different concentrations of effector cells. The number of live, calcein AM positive cells decreases as the number of effector cells is increased. 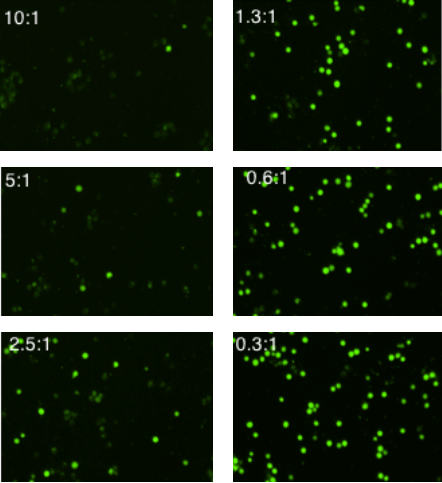 As time increased, the number of live target cells decreased. As antibody concentration increased, the number of live target cells decreased. Additionally, with an increasing amount of antibodies, the number of immune cell clusters also increases.